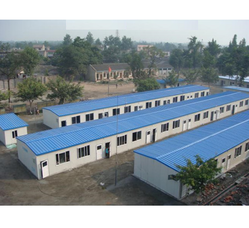 We are one of the top manufacturer and supplier of Staff Hutment. We designed these Staff Hutment as per the specification of the client. Our offered hutment are manufactured from high quality raw material procured from the reliable vendor as per the norms of the industry standards. These products are manufactured under the strict guidance of our expert who had profound knowledge in their respective domain. In order to rectify it, our offered hutment are gone through several tests before delivering it to the client. Client can availed these product from us at reasonable prices. We are recognized as a prominent organization of comprehensive collection of Labor Mess. This is designed and fabricated using quality tested materials and latest machines in adherence to predefined industry norms. 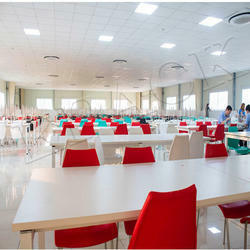 This is suitable to be used in work-sites and construction sector, where temporary labor mess establishment is required. Moreover, clients can avail this from us at feasible prices with all basic amenities. With the help of our dexterous professionals, we are offering a sustainable range of Prefabricated Canteen to our clients. This consists of all essential amenities like fans, lights, furniture and utensils. Under the surveillance of our experts, we fabricate this using quality assured materials in accordance with set industry norms. In addition, this is highly demanded in the market for its unrivaled features and premium quality. 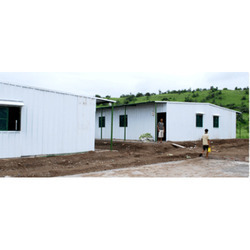 Owing to our expertise in this domain, we are engaged in offering an excellent quality Staff Hutment. Owing to characteristics like elegant design, durability, and low maintenance, this is used in office, multinational companies and many other places. During the fabrication process of this, our experts use premium grade materials and advance machines at our ultra modern machining facility. In addition, clients can avail this in various specifications from us at market-leading prices.